The character Joker is the playable protagonist of the role-playing game Persona 5. Players are free to provide his name, but the animation and other spinoff material give him the name Ren Amamiya. He is a transfer student at Shujin Academy and doesn’t possess any powers or influence at the beginning. But outside of school, he is known in many different names. The world knows him as The Phantom while residents of the Velvet Room know him as The Trickster. His teammates at the Phantom Thieves of Hearts know him as the Joker and their leader. His aim with the Phantom Thieves is to change society, and his plan to do this is to perform illegal heists and steal corrupted people’s hearts. As the protagonist of the series and the main playable character, he is undoubtedly the most popular character in the game. He is even going to be part of the fighting game Super Smash Bros. Ultimate. 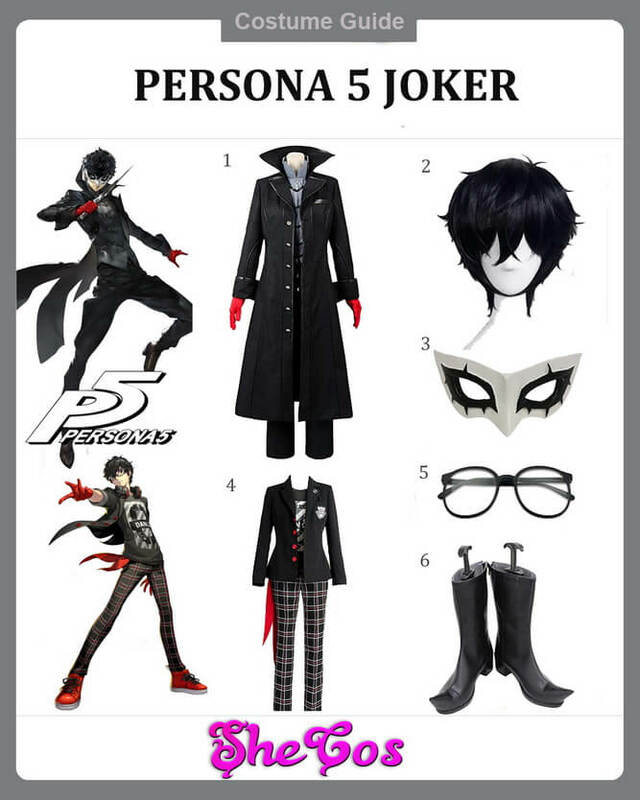 Here it will be a Joker cosplay guide. Like a lot of the characters in the Persona 5 video game, Joker is no exception when it comes to appearance. 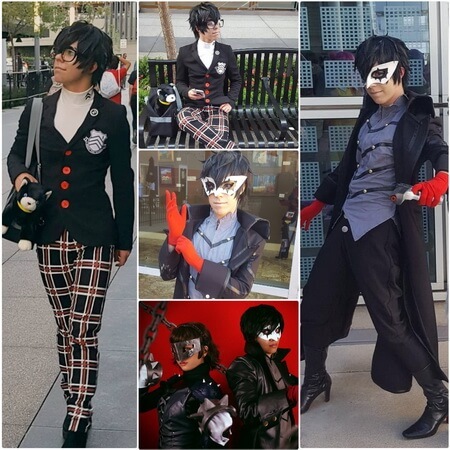 He has worn several recurring outfits throughout the game, including his winter school uniform, his casual winter wear, his summer wear, the Phantom Thieves of Hearts costume, and many more. 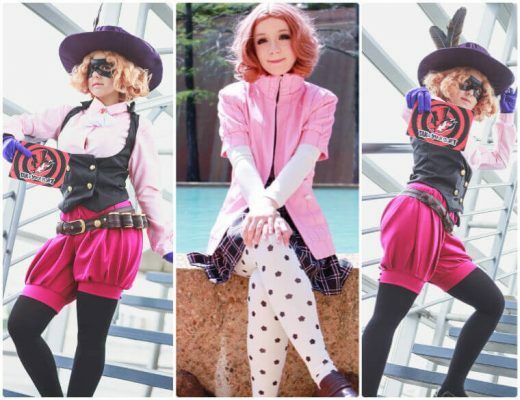 This Persona 5 Joker cosplay guide will feature the Phantom Thieves of Hearts costume and the outfit that Ren Amamiya wore during the Persona 5: Dancing In Starlight. The Dancing in Starlight outfit consists of a black blazer with a black shirt that has a big zero in front with the word DANCE. It also comes with a short black unkempt wig, black glasses, red plaid trousers, red gloves, red shoes, and a red rag hanging from the pocket. The Phantom Thieves costume consists of a long black tailcoat with a high-neck waistcoat underneath and black pants. A pair of red gloves, black boots, and the black and white domino mask completes the full Joker cosplay set. Joker is the playable character in Persona 5, which means his character development will be up to the gamer playing him. The protagonists, though, is known as a Joker or Trickster and is a very skilled thief. That is why his initial Persona in the game is Arsene Lupin, which is a master of disguise appears like a demon with wings that represents a thief’s cape. 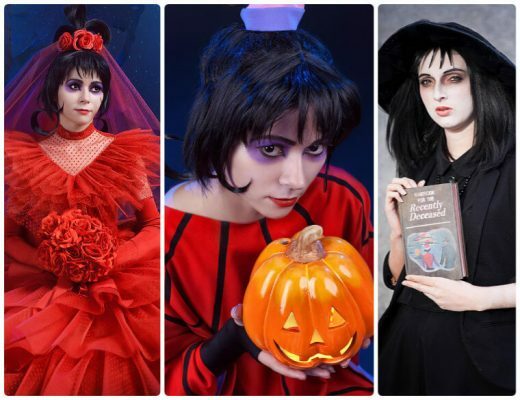 Being the main character in the series, Joker is arguably the most popular character in Persona 5 and the favorite choice of people looking to cosplay Persona 5 roles. 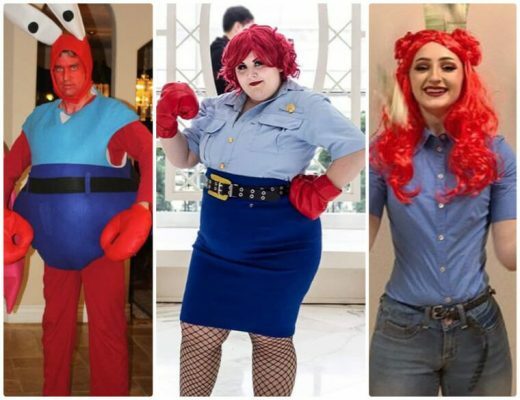 If you look at the Joker cosplay photos, you can see why he is a big favorite. 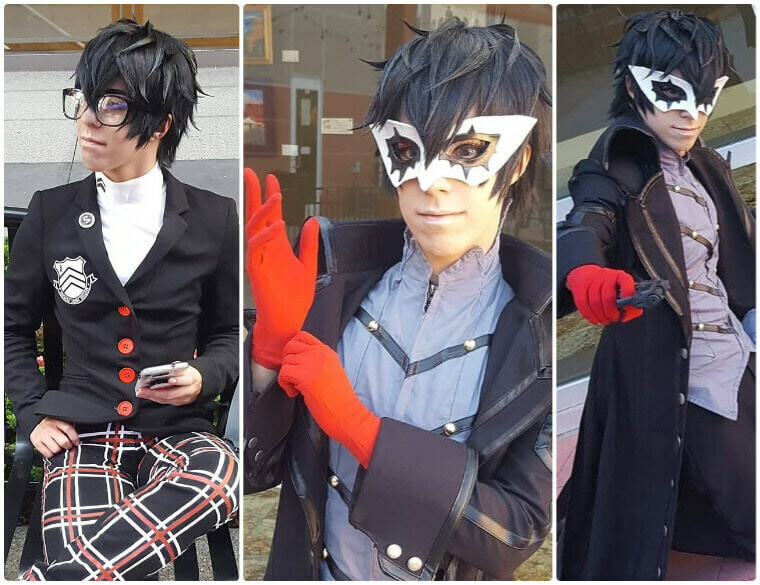 Joker has a fresh appearance, regardless if he is wearing his school uniform or Phantom Thieves costume. You can see from his appearance, especially the Phantom Thieves costume, that he is a trickster. It makes his codename, the Joker, an excellent fit for the character.